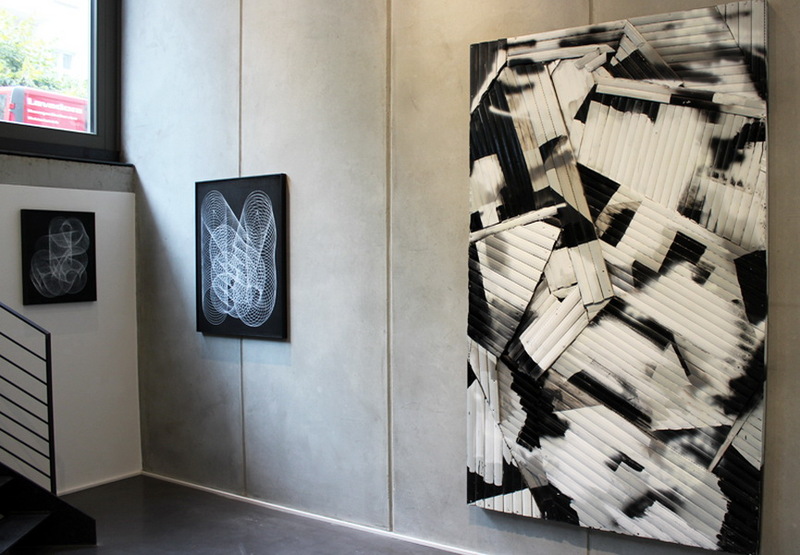 The “ABSTRACT” show presenting nine international artists at BC Gallery in Berlin runs until November 1. 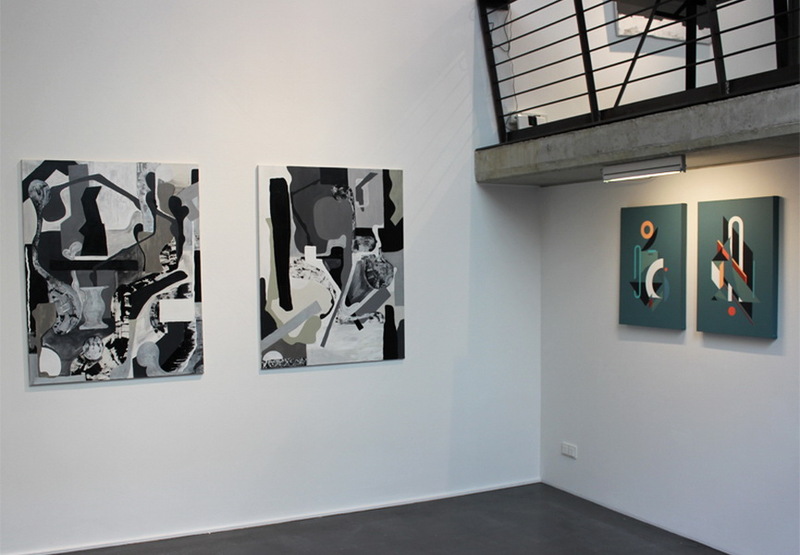 Ahmed Abdellatif, Clemens Behr, Hense, Moneyless, Momo, Nural Moser, Nelio, Severin Gruner, and Stohead brought their engaging new works that rely on form, color and line with little or no reference to the external world. Widewalls brings you photos to get a sense of the exhibition setting. A wide range of visually stimulating works shows the viewer, bluntly and directly, what is possible in non-figurative art. On his path of capturing the moments of nowness and ephemerality, Stohead experimented with vague shapes and bright colors creating enchanting pieces. 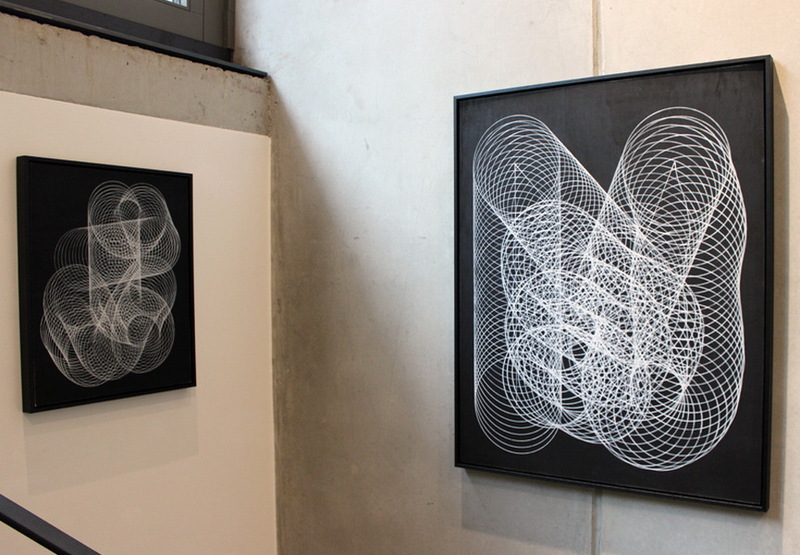 Moneyless produced dynamic geometric forms through repetition of simple circles aiming to say more with less. The result is a balanced visual sensation that simply hypnotizes observers. 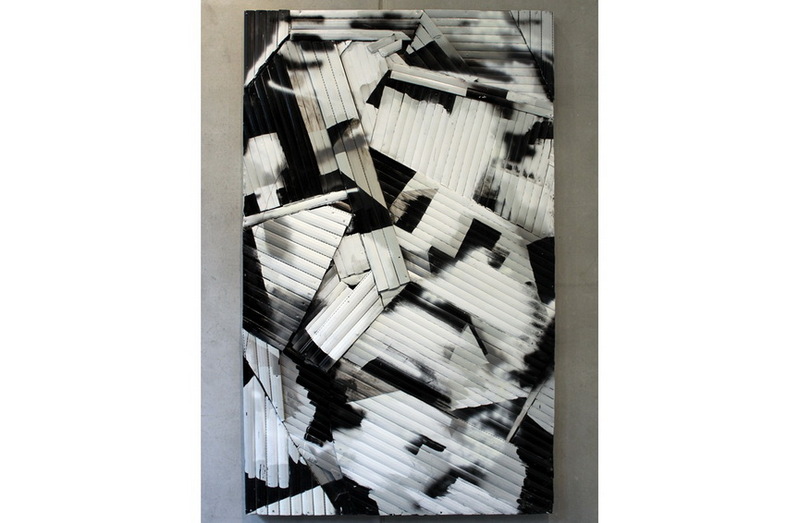 Clemens Behr continues to elaborate his approach to deconstruction and then rearrangement creating complex geometric paintings with architectural echo. 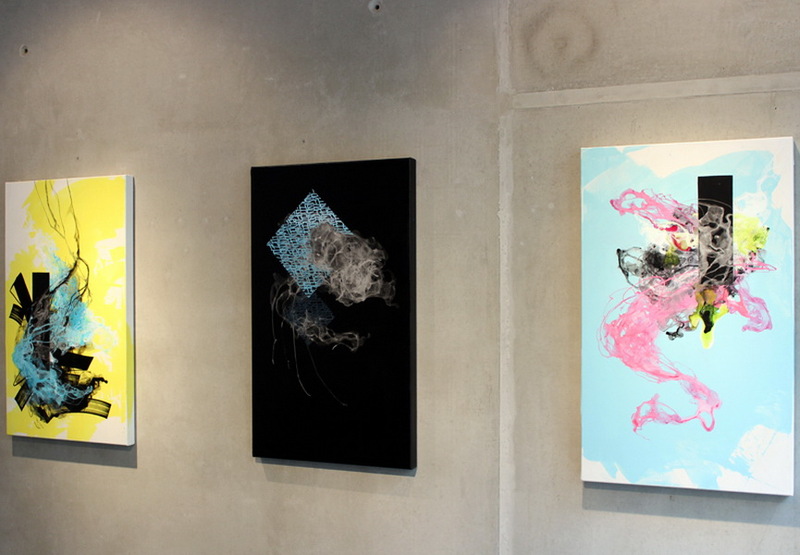 If you’re in the area and you like abstract art, we encourage you to visit this outstanding exhibition. Expect a true visual delight. 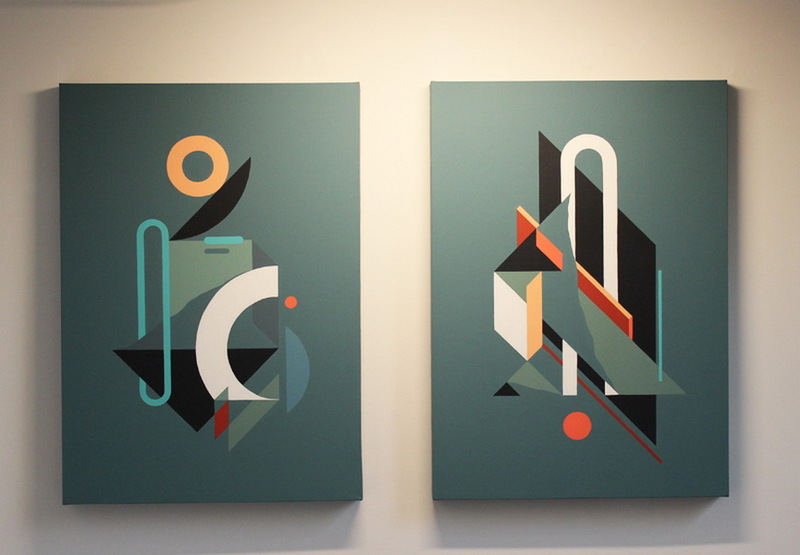 “ABSTRACT” is available for public viewing at BC Gallery by the end of the month. 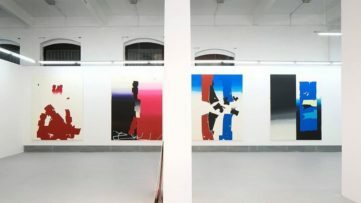 BC Gallery opened in April 2013 as a newly Berlin based outlet for high-end urban and contemporary art to feature regular solo and group exhibition by internationally renowned contemporary artists. The gallery hosts up to six exhibitions a year. 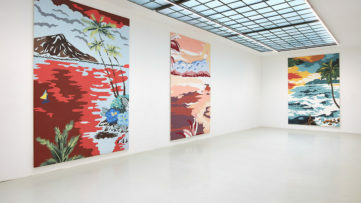 Located in the center of Berlin’s culture magnet Friedrichshain, BC Gallery is situated in a brand new top-of-the-line gallery space at Libauer Strasse.